Tired of getting split ends and pulling your hair?  Here is your solution! Hair Steaming can strengthen your hair roots by increasing its elasticity. Strengthened hair will provide efficient styling and increase hair length. Easily have a super tight curl or loose flowing wave with this Ceramic curling Iron set ! Frizzy, unruly hair will be a thing of the past when you add the Xenia Paris Silk Steam Ceramic Flat Iron to your beauty arsenal. 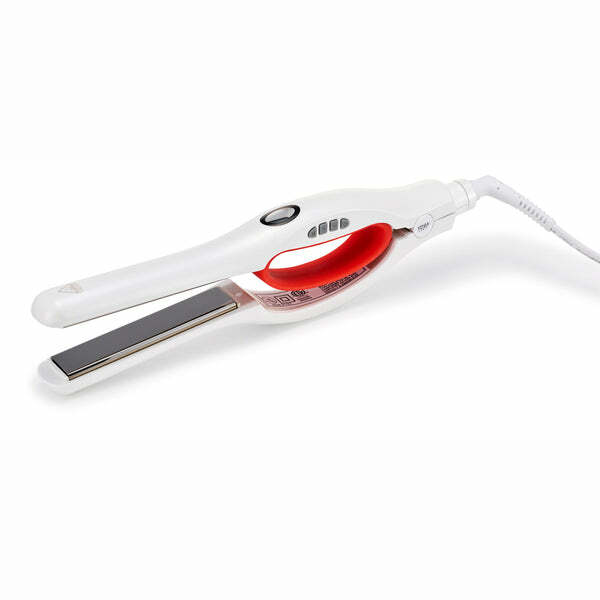 It features an optional steam mode to ensure the least amount of damage to your hair shaft as you straighten. Six temperature settings provide a customizable heat level that's perfect for your specific hair type. The ceramic 1.25" plates allow for flexibility in styling, whether you want to go straight or create waves. Plus, this flat iron's anti-tangle cord swivels a full 360° for the ultimate ease of use. If all that isn't enough, it even comes with Moroccan Argan oil serum to further boost the health of your luscious strands. Stop messing around with that drawer full of junky hair styling tools. Get the one thing you really need—get the Xenia Paris Silk Steam. You're totally into smooth, straight locks, but no matter how much you try, you just can't give yourself a good blowout. Fear not, friends! It's time to make the switch to a flat iron. But not just any straightener. 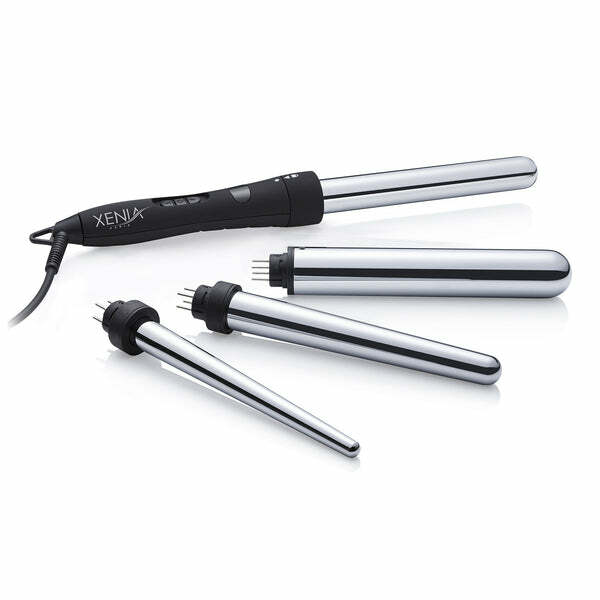 Frizzy, unruly hair will be a thing of the past when you add the powerful, premium-quality Xenia Paris 1 Touch Pro Titanium Flat Iron to your beauty arsenal. Fully adjustable settings and a clear LED display provide a customizable heat level up to 450 degrees that's designed to provide the best results without all the damage. A 1" plate size provides just enough flexibility, in case you want to add some wave and bounce to your 'do. Stop messing around with that drawer full of junky hair styling tools. Get the one thing you really need—get the Xenia Paris One Touch Pro. It's finally time to say goodbye to frizzy, unruly hair because the Xenia Paris Silk Steam Ceramic Flat Iron is the perfect solution for a silky smooth do. With a maximum temperature of 450 degrees Fahrenheit and a fully adjustable heat setting, this luxurious hair straightener is designed to provide the best results without harming or damaging your hair. The 1.25" plate also offers flexibility when styling your hair and the adjustable heat setting keeps you aware of the current settings. It’s finally time to say goodbye to frizzy, unruly hair because the Xenia Paris One Touch Pro Titanium Flat Iron is the perfect solution for a silky smooth do. 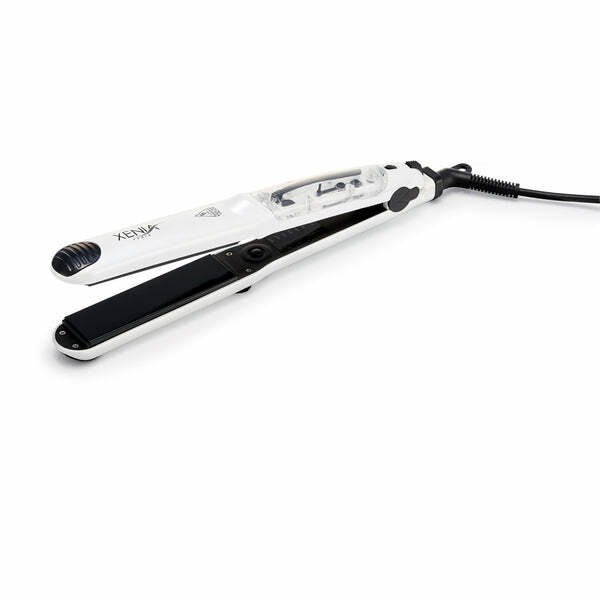 This premium quality hair straightener is exponentially more powerful than the majority of other flat irons on the market today. With a maximum temperature of 450 degrees Fahrenheit and a fully adjustable heat setting, this luxurious hair straightener is designed to provide the best results without harming or damaging your hair. The 1” plate also offers flexibility when styling your hair and the LED display keeps you aware of the current settings.